Welcome to the Basingstoke Group page. 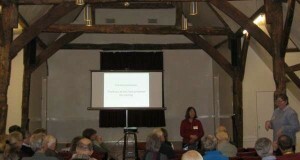 You do not need Hampshire ancestors to attend our meetings, all you need is an interest in family history. Our subjects are varied and aim to assist you with your research wherever your ancestors came from. We give you the opportunity to chat with like minded researchers who can help and advise you. We cater for all and are a very friendly bunch! We have some extremely knowledgeable members, from those with up to 40 years research, to those who have only just started. 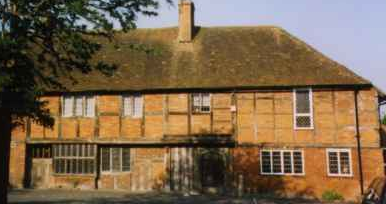 Meetings of the Basingstoke HGS group are generally held on the fourth Wednesday of each month in the main hall of the St Michael’s Church Cottage (behind St Michael’s Church) from 7:30pm to around 9:30pm. This is a ground floor room with disabled access and toilet. Parking outside is free. The main part of our evening concludes around 9:00pm, when refreshments are made available for a small fee and members chat amongst themselves. Specialist speakers give talks, and we have participation evenings when members may present and talk about their own research. Please see our Programme of the events organised. There are three tables in the hall; one contains magazines and leaflets donated by members, the second contains useful information to browse through, and the third contains books donated by Members (on history, family and local history) that are available to borrow. All leaflets, magazines and loans are free of charge. A monthly Newsletter is e-mailed to our members and visitors reminding them of the date of the next meeting, and includes snippets of information about all sorts of family history things! If you have any questions, please don’t hesitate to get in touch. You are most welcome to join our meetings as a visitor, or even better, join HGS and become part of a wide Hampshire family history community. The group is currently run by committee. They can be contacted using the form on this page. If you would like to know more about the Basingstoke Group and its forthcoming events, then please contact the group using this form.